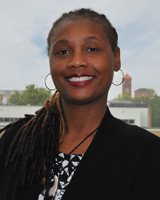 Dr. Shanea D. Parker is Contributing at Walden University School of Nursing. She obtained her Doctor of Pharmacy degree in 2004 from Hampton University School of Pharmacy. Dr. Parker has been a practicing registered pharmacist for 14 years and in Academia for 4 years. She has practiced as a retail, long- term care and clinical pharmacist. Dr. Parker serves as an ambulatory care preceptor, where her primary practice site is the Olde Town Medical Clinic in Williamsburg Virginia. Dr. Parker's professional affliations are Kappa Epsilon, American Pharmacist Association, Virginia Pharmacist Association, and the American Association of Colleges of Pharmacy.